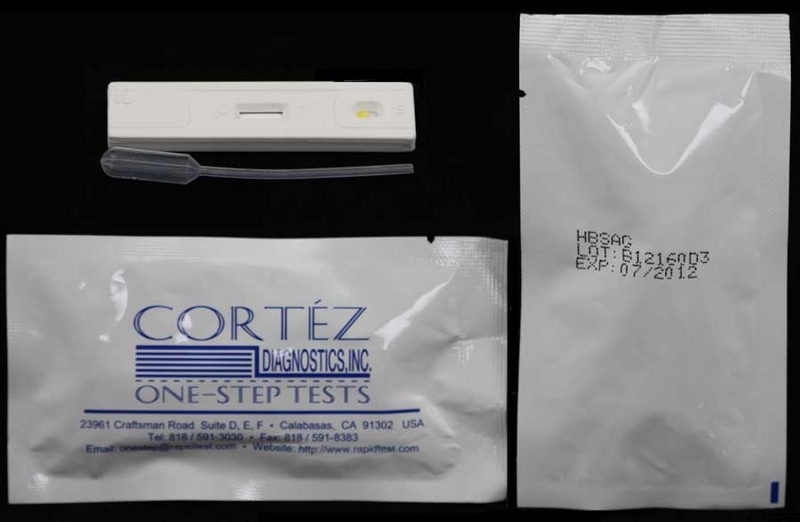 HCV WB Rapid Test | ISO-CE-GMP | 818-591 3030-USA. 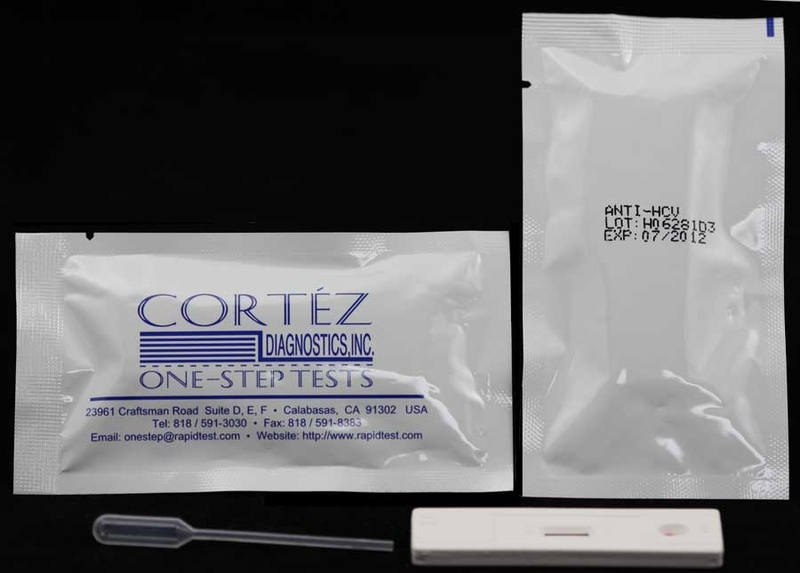 The MT HCV Rapid Test is based on the principle of inter-second antibody enzyme immunoassay for the determination of anti-HCV in serum/plasma.Â Recombinant HCV antigens are employed to specifically identify anti-HCV antibodies specifically.Â This HCV Rapid Test (HCV Serum/Plasma RapiFlo) is very sensitive and only takes 3 minutes.Â The HCV Rapid Test results are read visually without any instrument.Â The formation of a large dot or a line of three smaller dots on the HCV Rapid Test provides an easy readout for positive and negative test results.Â The three smaller dots on the HCV Rapid Test also serve as an internal control.Â The center dot on the HCV Rapid Test is a weak positive control and the two outer dots are the strong positive control.Â They only appear on the HCV Rapid Test when all reagents are working and the sequence of adding reagents is performed correctly.Â If the specimen for the HCV Rapid Test cannot be tested on the day of collection, store the serum specimen in a refrigerator or freezer.Â Do not freeze and thaw the specimen repeatedly.Â Mix samples thoroughly after thawing.Â After opening the HCV Rapid Test package, it may be stored at room temperature for one week.Â Gold conjugate must be stored at 2-8 degrees Celsius.Â Bring all reagents, HCV Rapid Test devices, specimens, references, and other materials to room temperature prior to testing. If the HCV Rapid Test is negative, only three small dots on the control dot bar are visible.Â Occasionally, the round test spot on the HCV Rapid Test may become visible where the color intensity of the round spot (test dot) is lighter than the center dot of the control dot bar.Â A strong positive on the HCV Rapid Test is indicated by both the round spot and the control dot bar being visible.Â The color intensity of the round spot is darker than all the dots on the control dot bar of the HCV Rapid Test.Â A weak positive results when the round spot is darker than or equal to the center dot on the control dot bar, but weaker than other dots on the dot bar of the HCV Rapid Test. 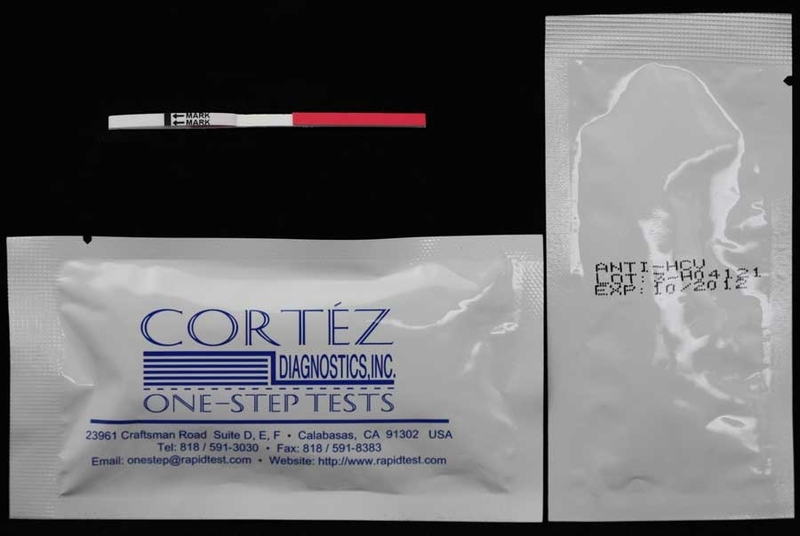 Diagnostic Automation/Cortez Diagnostics, Inc. offers additional HCV Rapid Tests.Â Those HCV Rapid Tests include: HCV Rapid Test Serum (Strip) (3.5 mm), HCV Rapid Test Serum (Strip) (5 mm), HCV Rapid Test Serum RapiCard (cassette), and an HCV Rapid Test Two Spot Insta Test.Â Additional HCV Tests include the HCV IgM ELISA Test, and the HCV ab ELISA Test.Â Further tests in conjunction with HCV Rapid Tests and HCV ELISA Test kits are the Blood bank ELISA test kits, Hepatitis ELISA Test Kits, and Hepatitis Rapid Tests.Â Along with these HCV Rapid Tests, are HIV Rapid Tests and HIV ELISA tests.Â For more information about HCV Rapid Tests, HCV ELISA Tests, or any other Rapid Test or ELISA Test kit, please see our online catalog or contact our Customer Service Department at 818-591-3030. *Â Not to be sold, shipped, or distributed in the United States.